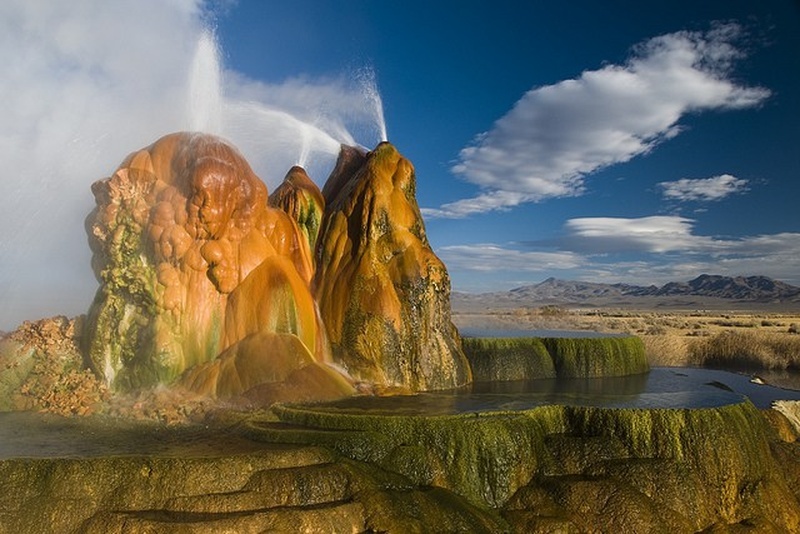 Fly Geyser, also known as Fly Ranch Geyser is a small geothermal geyser that is located approximately 20 miles (32 km) north of Gerlach, in Washoe County, Nevada. 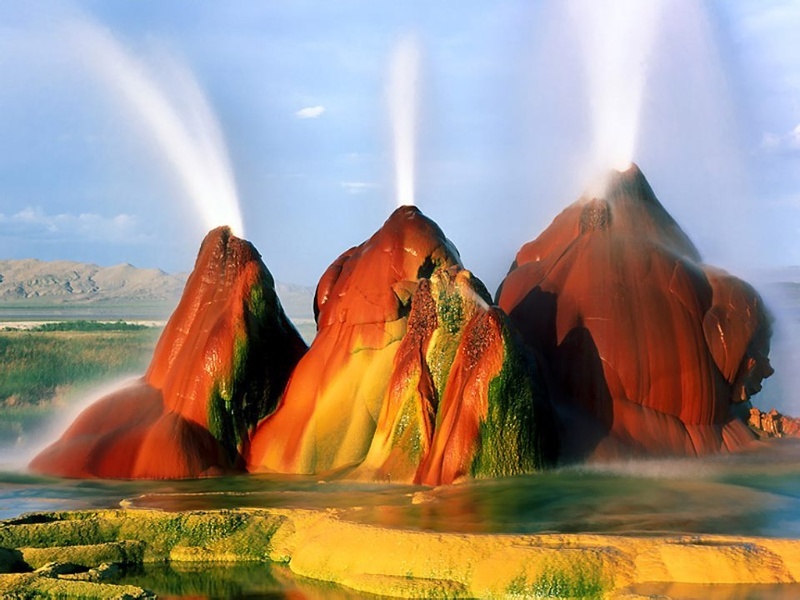 The Geyser is located in Hualapai Flat, about 1/3 of a mile from State Route 34. It is large enough to be seen from the road. 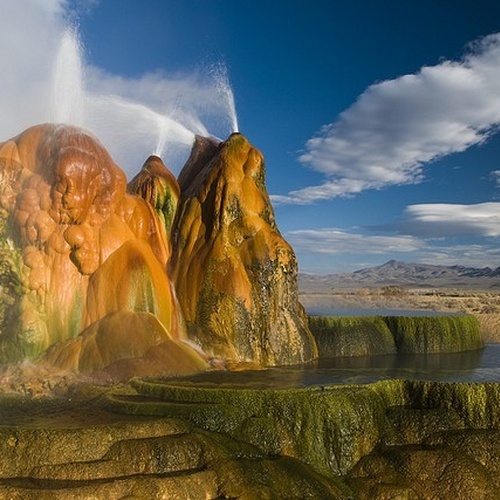 Fly Geyser is a very little known tourist attraction, even to Nevada residents. It is located right near the edge of Fly Reservoir and is only about 5 feet (1.5 m) high, (12 feet (3.7 m) if you count the mound on which it sits). 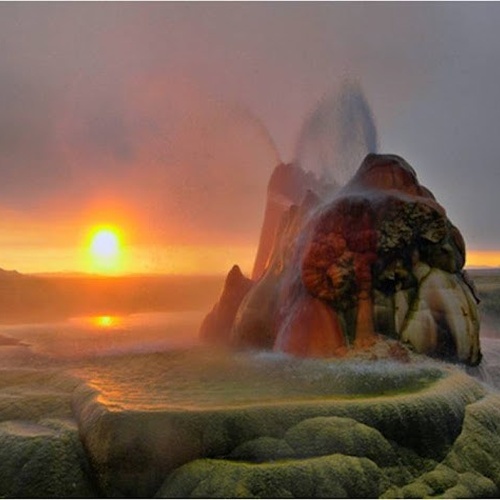 The Geyser is not an entirely natural phenomenon, and was accidentally created in 1916 during the drilling of a well. The well functioned normally for several decades, but then in the 1960s geothermally heated water found a weak spot in the wall and began escaping to the surface. Dissolved minerals started rising and piling up, creating the mount on which the geyser sits, which is still growing to date. Today, water is constantly squirting out reaching 5 feet (1.5 m) in the air. 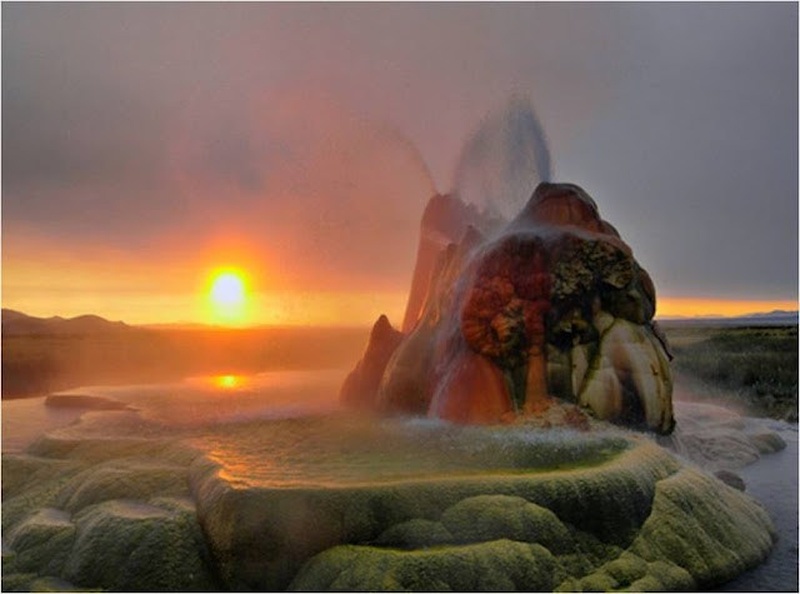 The geyser contains several terraces discharging water into 30 to 40 pools over an area of 30 hectares (74 acres). 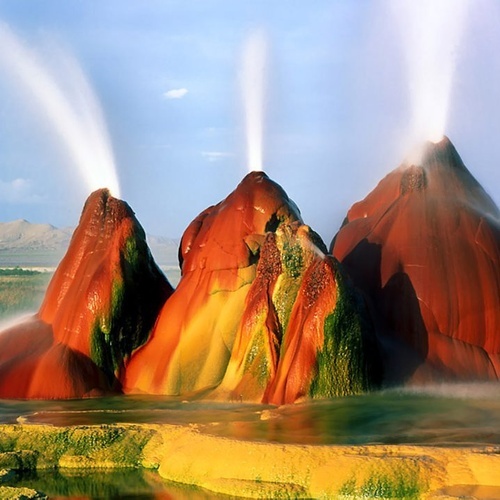 The geyser is made up of a series of different minerals, which gives it its magnificent coloration. 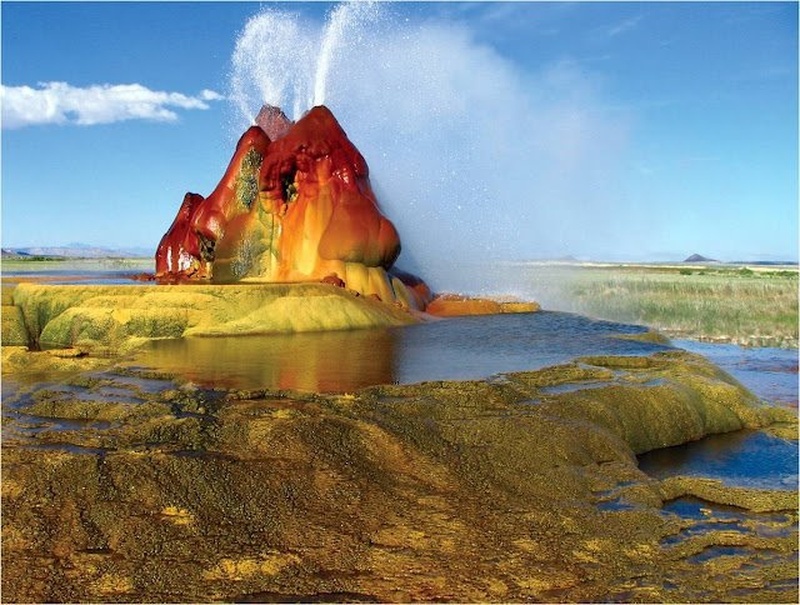 There are two additional geysers in the area that were created in a similar way as Fly Geyser. 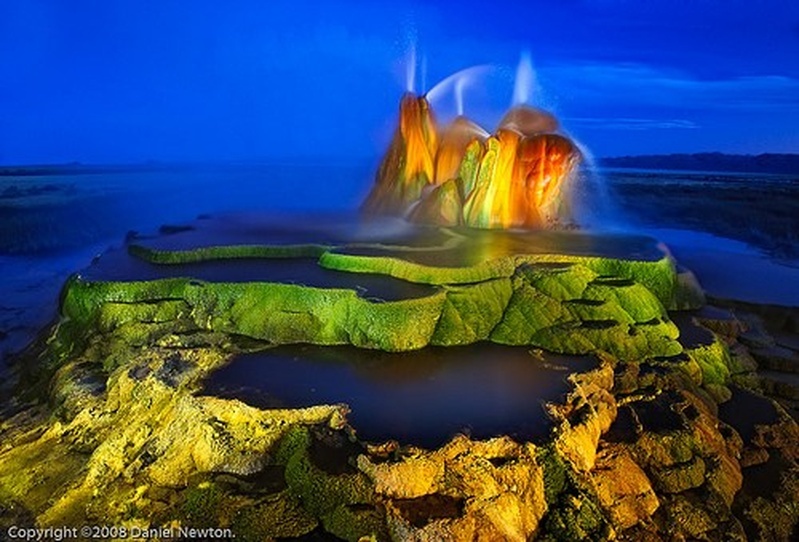 The first geyser is approximately 3 feet high and is shaped like a miniature volcano. 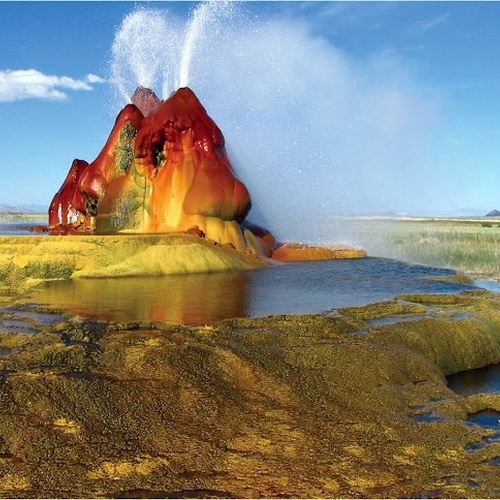 The second geyser is cone shaped and is of the same approximate size as Fly Geyser. 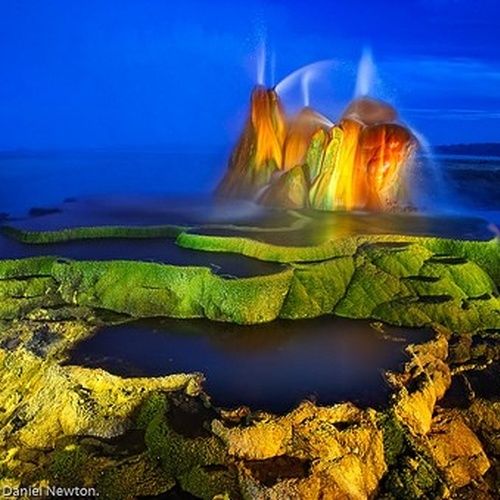 Like Fly Geyser, these geysers are continually growing.